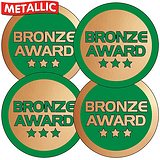 These bronze award stickers feature a metallic finish & are perfect for rewarding children who work really hard in class. Also great for sports events. 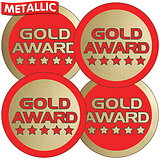 Available in Gold, Silver & Bronze - Click here to see the others.